Philips Lighting, a world leader in innovative lighting solutions, is the first corporate partner to join The Climate Group’s 3-year Clean Revolution campaign. The campaign’s main aim is to reach-out to the world’s decision-makers to inspire and enable them to spur low carbon economic growth. The partnership is aimed at speeding up the global switch to LED lighting (light emitting diodes). LED lighting offer extraordinary opportunities for significant cuts in energy use and worldwide carbon dioxide emissions. At the same time, LED lighting solutions provide important social benefits, such as higher productivity at work, increased road safety, more effective school learning and an enhanced sense of well-being and comfort at home, in buildings and on streets. Currently, lighting accounts for 19%¹ of global electricity production. A full switch to LED lighting could reduce energy consumption for lighting by 40% worldwide. This translates to approximately 130 billion Euros in running costs and 670 million tons of avoided carbon dioxide emissions per year. Furthermore, the switch to LED could cut back the need for capital investment in new electricity generation capacity of over 1 trillion euro – or some 640 power plants. Mark Kenber, CEO The Climate Group said: “We are delighted to have Philips, one of the leading corporations in lighting internationally, as our first corporate partner for The Clean Revolution campaign. Over the next three years we will be working with Philips to highlight the opportunity for governments and corporations in investing in the low-carbon economy with a focus on expanding the use of what is one of the most promising smart technologies, LEDs. Our cooperation with Philips will allow us to highlight the great cost-savings and energy efficiency improvement LEDs provide and catalyse a low carbon transformation in lighting around the world”. The Climate Group is an independent, not-for-profit organization working internationally with government and business leaders to advance the smart policies, technologies and finance needed to cut global emissions and unlock a clean industrial revolution. Our global coalition of companies, states, regions and cities around the world recognizes the economic and environmental imperatives of taking decisive action now. The Climate Group was founded in 2004 and has operations in Australia, China, Europe, India and North America. 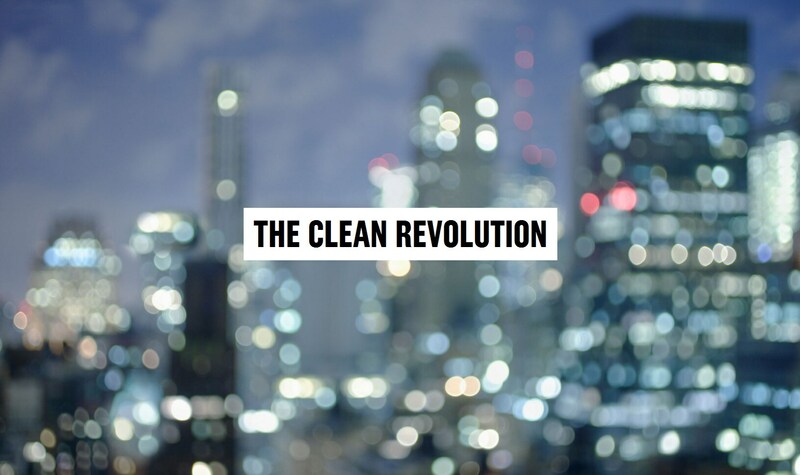 A Clean Revolution is a massive upscale of smart technologies, design and new business practices. It is the only viable way to tackle climate change and ensure that the nine billion people that will be on the planet by 2050, will not only subsist – but thrive. The Climate Group’s Clean Revolution 3-year campaign aims to inspire, catalyze and enable a group of the world’s most influential business, government and thought-leaders to take transformational action on climate change, creating a tipping point for the low carbon economy. For more information on the Clean Revolution, please visit www.thecleanrevolution.org.